Music, like a universal language, compelling the senses from rhythmic energies, transcends the spirit with embracing sensations and emotions. Through a cosmic dimension, harmonious signals and musical frequencies penetrate the universe like pulsating beacons of radiant stellar light. 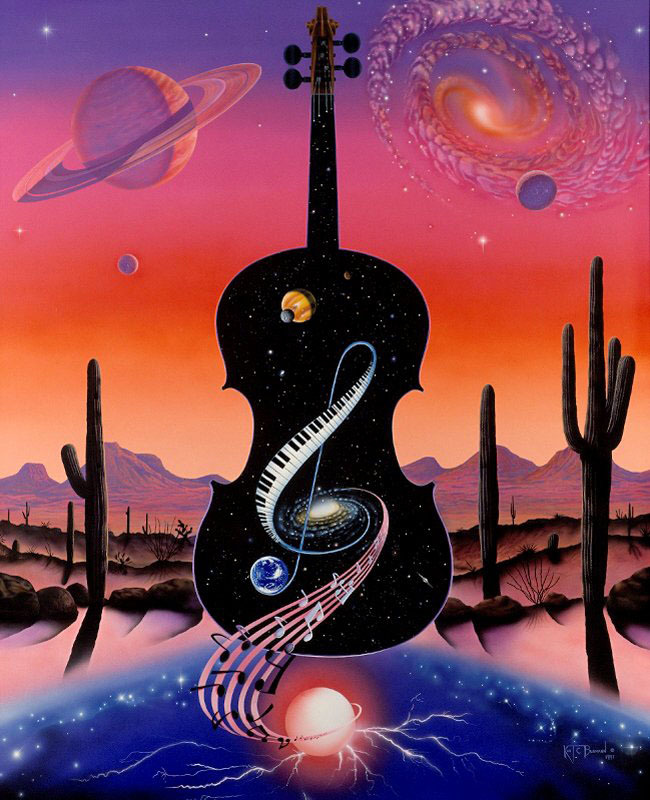 Beneath the celestial skies, amidst giant Saguaro cactus and ancient boulders that comprise the southwest desert, “Music Tunes the Cosmos”.